The Glasgow Distillery Company has announced the launch of a collection of one-off releases of aged Speyside single malts inspired by Greek mythology. The first release in the collection is Prometheus, a 26 Year Old Speyside single malt of secret origins that combines the smoky influence of peated barley with the wonderfully zesty and floral notes typical of the region. The name was inspired by the classical foundations of Greek Mythology, the great Titans, who were renowned for their strength, passion and charisma. Today, the spirit of Prometheus lives on as champion of man and bringer of fire and like his namesake, Prometheus 26 Year Old combines the peaty fire of the islands with the rich, bright complexity of the Highlands. 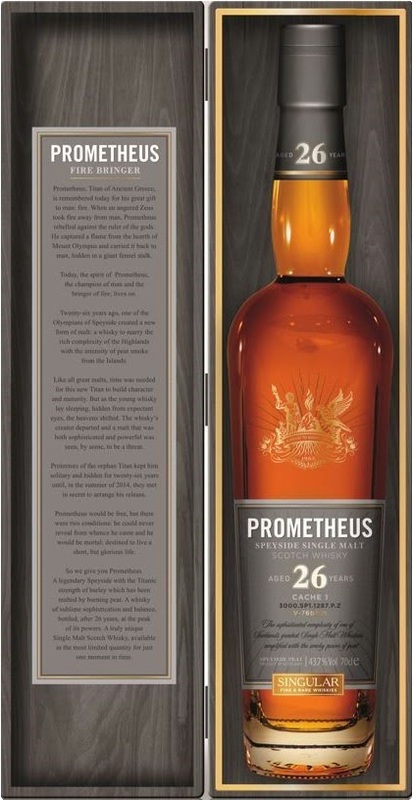 Commenting on the launch, Liam Hughes, CEO at The Glasgow Distillery Company, said: “Prometheus 26 Year Old is a great addition to our portfolio. We have been very fortunate to acquire such a special whisky. We will release a very limited amount in early 2015 and will be holding back some of the liquid for further maturation”. 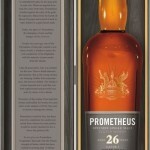 Prometheus 26 Year Old single malt Scotch whisky has been bottled at 47% ABV and will be available from specialist retailers early in 2015 for a RRP of £380.